Exhibiting at a trade show can be an exciting opportunity. Companies get a chance to showcase their goods and services to prospective buyers, network with colleagues in the same industry, and build brand equity. There are a few options for handling the Customs release to get your goods into Canada and minimize the costs when the goods are returned. For the most part, the show organizer will appoint a customs broker and refer the customs broker to the exhibitor. Customs brokerage is a service industry, so professional fees vary from customs broker to customs broker. It is always worth shopping around - exhibitors do have the option of having their goods clear Customs at the border instead of moving in bond to clear at the show. Tip » The sooner you get prepared to ship, the more alternatives you have to handle the Customs formalities, and get your goods to the show in time. Carnets can be obtained from your local Chamber of Commerce. They are considered to be similar to a passport for goods. The Carnet gets stamped by the exporting country on the way out and on the way into the importing country. The same process happens when the goods are leaving Canada. There is a bond charge that would be associated with a Carnet that is usually based on the value of the good and they are usually valid for a one year period. Carnets are great if you are taking the same goods in and out of Canada multiple times a year. The disadvantage to Carnets is the quantity of the goods and equipment must be exactly the same at the time of export and import. 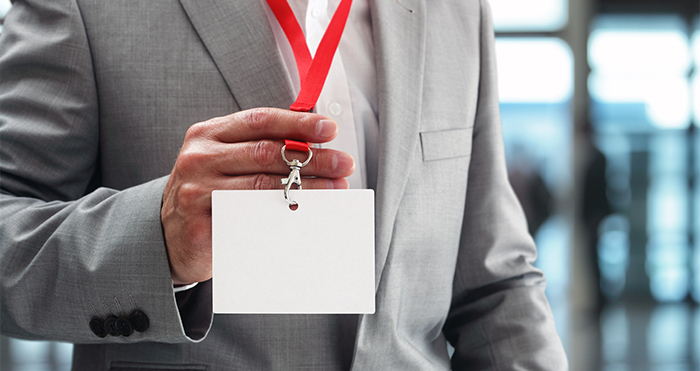 So if the plan is to give away some samples and literature while you are attending the trade show, a Carnet may not be well suited for your company. Promotional giveaway items will need to be entered for consumption and duty paid into Canada, so shipping the giveaway items separately is a feasible option. For more information about A.T.A. Carnets, please visit the Chamber of Commerce's web site. If you plan to participate in multiple trade shows, an E29B gives you the flexibility of changing up the equipment you are bringing back and forth across the border. The temporary admission permit can be issued by a customs broker against the customs broker's E29B bond. An E29B would be prepared each time you exhibit. The E29B must be canceled prior to the goods exiting Canada. There is a charge for preparation and use of the customs broker's E29B bond and a refundable security deposit may also be required. The security deposit gets returned when the customs broker receives proof the bond has been properly canceled with Canada Border Services Agency. If there are giveaway items, a separate B3 consumption entry will need to be prepared for the goods that will remain in Canada. Even if they are free, they will require a value for Customs purposes. Depending on the types of giveaway items and where they are made, there may be duty payable upon import and they will likely be subject to the 5% Canadian Goods and Services Tax (GST). For a sample Form E29B and detailed instructions for each field on the form please see the Appendix of Memorandum D-8-1-4. Depending on the value of the goods, sometimes it makes more sense to duty pay the goods into Canada and pay the 5% Goods and Services Tax (GST). For example, shipments that are valued less than $5000 Canadian dollars that are made in the United States or Mexico, and are eligible for the benefit of the North American Free Trade Agreement (NAFTA), the cost of duty paying them would only be the GST. With the dollar currently being very close to par, the cost works out to be around $275 Canadian dollars. A professional fee would apply for preparing the Customs entry. There would also be no bond cancellation to worry about for goods entered on a B3 consumption entry. Note: Additional documentation may be required depending on the type of goods coming into to Canada. Returning Event Goods To The U.S.
For ease of return to the United States, a 4455- Certificate of Registration is recommended. It must be signed off by U.S. Customs prior to the goods exiting Canada. It registers the goods as U.S. goods and is proof that the goods landed in the United States to avoid duty paying them back into the U.S. on their return home. The basic form required to declare the shipment to Canada Customs is a Canada Customs Invoice. This form and others are available on our website. Tip » Using the same customs broker for your import and export activities simplifies the process. Customs brokerage services vary from company to company. At Pacific Customs Brokers, we specialize in handling shipments for various industries and clients of all sizes. We are open 24/7, understand the urgency of getting shipments delivered on time, and can look after Customs releases at all ports of entry into Canada and the United States. Our friendly and professional customs brokers are at your service to help cut through the red tape and clear your trade show goods into Canada. Importing A Car Into The U.S. From Canada?